There’s still one doctor missing the Valeyard and I know it won’t happen but I would love one of the Peter Cushing Doctor as he was one of my favourite actors and the shalka doctor would be nice along side the android master. Booboo will you be updating this page with the Variant Cover when it’s available? Received my subscription copy over the weekend. Bagged magazine and figure with no wraparound cover. The magazine has the Doctor only on it. 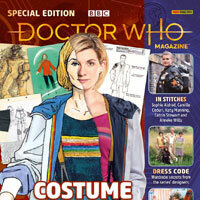 I also saw a copy in the local newsagent with the cardbaord cover featuring Doctor+companions. Bought it because it was the only one left (and it had a differnet cover). Not sure if this means subscribers are getting one version and shops are getting the other version. A week late they are showing up. By way of perhaps an explanation this issue has some extra material, namely a wrap-around folder promoting the range. They have not done anything this special since the backing board for issues 1 & 2. 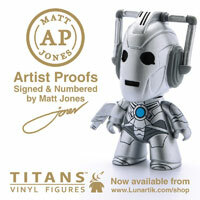 Clearly to capitalize on the figure being the current Doctor and a smart way to remind the public about the collection. Figure box is glued to the sleeve and is difficult to remove with damaging. Rear of folder indicates a choice of 2 variant covers for the magazine. 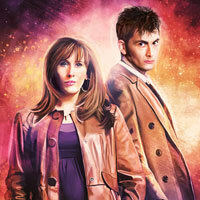 One is the image shown above at the top of this page the other being the Doctor & companions. Although late, a welcome refresh for the range and a nice promotional shot-in-the-arm for the collectors. As for the figure, about time and looks great. Final have one. Came a week late. Has this issue is late will other issues be delayed. No delays, subscribers should have stock sent out at the end of the week for delivery next week. 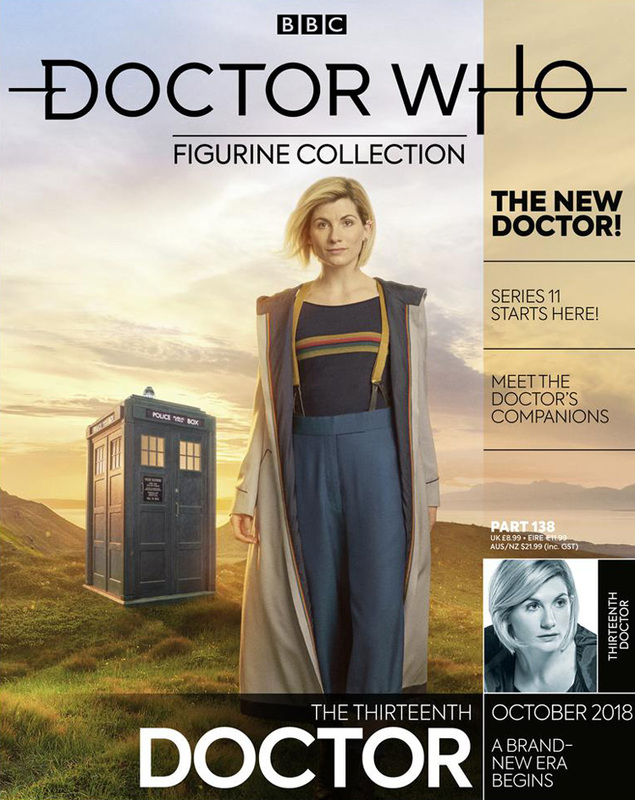 Looks like there are two different covers for this issue as one with the Doctor and her companions has been seen (and bought) in stores. I assume WH Smith but they haven’t actually stated. Same here, still no sign at my local newsagent. Gonna check out the nearest WH Smith. So are there really two covers or have they just changed the final design at the last minute? and people complain about the comments on this site? 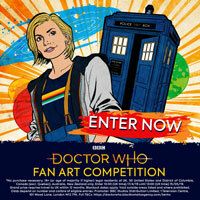 Did Chibnall design this too because the face looks masculine. They’ve stuck Capaldis head on by mistake. Is there going to be a five inch action figure? She’s the only Doctor I don’t have! The figurine is as boring as this past season….. you nailed it! I’m going to stick with my Barbie instead, much better looking..
That looks nothing like her! Strange question could the magazine be moved to every three weeks instead of every fortnight. I might get family to check this thursday incase it turns up. Theres clearly some delay issue with this release. Can anyone elaborate as to why? Eaglemoss store is a separate company. Just had email to say the latest issues have been delayed and should be sent out later this week. Perhaps newsagent orders will be the same. 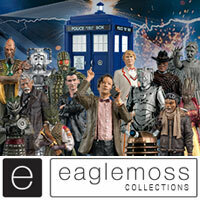 Ordered an extra one via Forbidden Planet and their stock has not arrived they are chasing eaglemoss for their order. They have said other issues could have a knock on effect with 139 out next week. What is happening yet again been to newsagents and still not shown up. Anyone know what is happening as issue 138 still not turned up at newsagents or forbidden planet. Anyone else seen one show up ANYWHERE yet as release date was last Thursday? Order via newsagents and nothing turned so far this week. I know there have been delays in past and my magazine arrived a week late another time 4 months late. Ordered 13th via forbidden planet as well as subscription via newsagent. At moment forbidden planet is awaiting there stock. 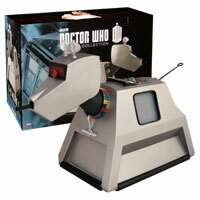 Forbidden Planet always seem to be “awaiting stock”…beats me why people order from them..I gave up on them ages ago. FP. com haven’t got it yet either. Sill not turned up at newsagents. Hi! I’m really considering getting 13, just because. What height are these things? Are they work 8.99? 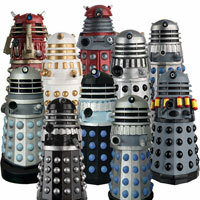 Anyone know what the next rare Dalek is? I’d heard it was the Dalek Battle Computer from Rememberance? That’s not neccesarily the next one Dav McKenzie. Just something they are planning on doing at some point. I’m sure we’ll find out soon enough. Thats whats been confirmed for the moment, however considering the series is still being shown on TV I can see the collection getting another extension as there would still be many more figurines that can be done. Was 80 then 120 then 150/180 can see ranage still been done in time for 60th birthday. ie we’re potentially only halfway through the collection, another 5 years to go – approx 270 figures by the end of November 2023 – plus Special Editions – Mega Figures – box sets…. Time War Daleks, Chase Daleks, Skaro Daleks, New paradigm Daleks…. Throw in some of the other less obvious variations (1st Doctor dressed as a Roman, 3rd Doctor dressed in caving/mining gear, spacesuited 10th Doctor, Captain/Colonel/Brigadier Lethbridge-Stewart, exterior TARDIS variations (pipe organ anyone or how about a Welsh dresser?) Master’s TARDIS (column, fireplace, concorde?)…). In other words, every conceivable character, in multiple (significant) variations, for fans to recreate their own favourite moments from the show. 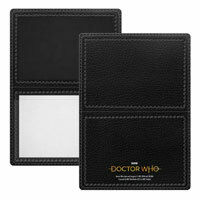 Potentially the entire 60 years of Doctor Who with as definitive a range of items as possible. Of course there’s always going to be some that people wish to see that get overlooked. The beeb should own 80/90% of rights so if its been in the show it should be possible to recreate. Missymaster68 my guess is they are producing a new variant of a Doctor with each companion because (a) they suppose die-hard fans will want to collect the different looks a Doctor had across their era – like Character Options action figure series did and (b) it might provide a jumping on point for a few new collectors who might have missed out on the original figurines for Doctors done in the early days of the collection. Those may not care about having every version of Tom Baker costumes but at least this offers them an easy chance to have *one* And if course, those who want companions can finally have them. It kills a few marketing strategy birds with one stone. 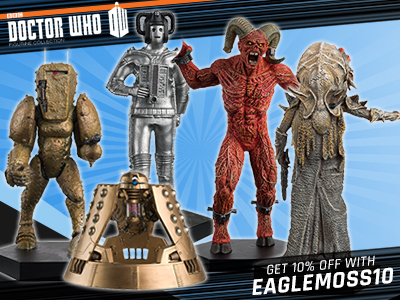 A real watershed moment for Doctor Who, and a good figurine from Eaglemoss to mark it! Looking forward to the new series monsters and enemies. Jodie Whittaker’s costume design is so iconic! Are there any active promo codes at the moment does anyone know? Normally FACEBOOK15 saves 15%, unfortunately Eaglemoss are running a promotion at the moment, “spend £60 save £10” (ends Sunday 7th October) and it has disabled all codes. Brilliant figurine. When’s it due out? That is lovely. 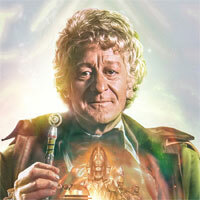 One of the best doctor figurines. i was rather hoping they would put a few upcoming figurines on his desk so that he could update and display to us. The likeness looks fantastic on this preview. In the words of River Songs spoilers. Possible early 2019 first 13th monster figurine. Neil Corry says he hasn’t seen any of the monsters yet, won’t know anything until the show is actually on. Hope they get her face something like. This i,m looking forward to seeing. 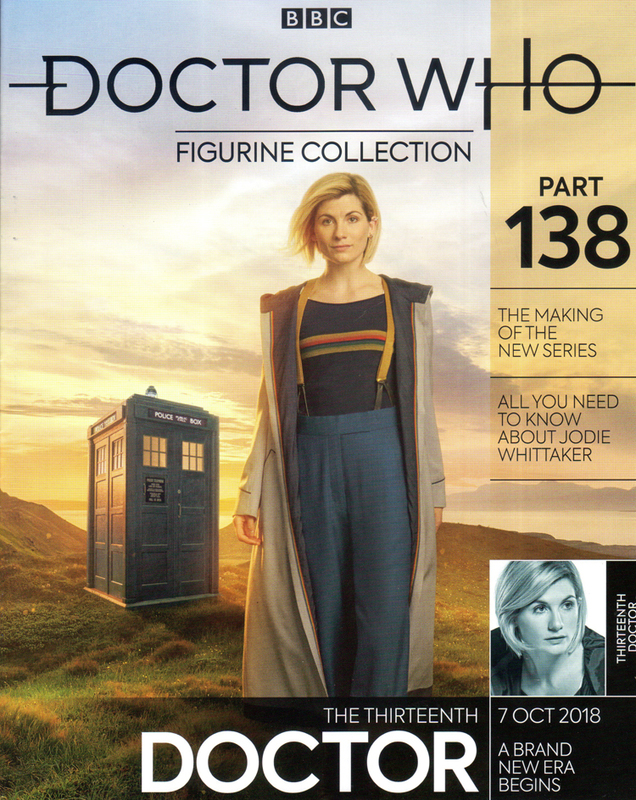 There is an image of the figurine (and mag cover image) of this and 139 in the previews catalogue. The Dalek was right next to it in the screenshot I’ve seen.